You may have heard of collagen as it relates to your body and physical health. It’s in your bones, tendons, muscles, skin and even your teeth! In fact, it is the most abundant protein in our bodies. Collagen is a structural protein that binds cells and tissues together in order to help them maintain shape and integrity. As we age, our bodies produce less and less collagen. In order to fight the signs of age and boost the body’s level of collagen, collagen powder has been increasing in popularity. Take a look at the benefits of collagen powder and see how BioThrive Sciences can provide private label manufacturing, custom collagen powder creation, product fulfillment, and more. There are many benefits to replenishing the body of its diminishing collagen levels with collagen powder. As we age, our collagen production declines, resulting in looser skin, more wrinkles, and less elasticity. By boosting your levels of collagen, it can help skin look firmer, smoother, and tighter. In fact, collagen powder can help reduce cellulite and stretch marks, as it works to keep skin cells renewed and repairing normally. Furthermore, collagen powder supplements can also help strengthen nails, hair and teeth. Another benefit of collagen powder is its effect on join pain and degeneration. A loss of collagen can make joints feel stiff and swollen. As collagen levels increase, it helps relieve achy joints. Studies have linked collagen supplements to lower rates of back pain or reduced knee pain among people with osteoarthritis. Some research has shown that a boost in collagen may help increase the body’s metabolism. Since collagen is an essential amino acid, it can act as fuel to our cells, which can increase metabolism and improve one’s general health. BioThrive Sciences is committed to providing its customers with the highest standards in manufacturing and labeling. When you work with us, we make the process simple and convenient by providing to start-to-finish private label manufacturing services. 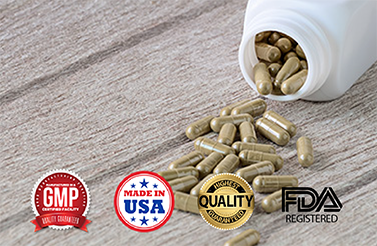 What sets us apart from other private label manufacturers is the high-quality ingredients that we use and our Good Manufacturing Practice Certification. As our commitment to having the best and most ethical practices in the industry, our GMP Certification ensures we minimize risks and have strict quality standards. Ready to place your order? With over 20 years of experience in private label manufacturing, BioThrive Sciences will manufacture your private label collagen powder in no time. In fact, we pride ourselves in providing our clients with a quick turnaround and friendly customer service in addition to our high quality ingredients. For more information about our services and products, contact us via our online contact form or call us at 1-844-263-3657.